Find all the latest Santaluz homes for sale in San Diego below! Santaluz is one of the premier gated-golf communities in all of San Diego, as its award-winning design and exceptional housing possibilities provide home buyers with a superior living experience that’s unlike anything else in the area. Listings for sale in Santaluz will certainly fit a broad range of needs and wants home buyers may have, and whether you’re looking for a 2,000 square foot villa-style residence or a sprawling 15,000 square foot estate home, there truly is something for everyone here at the tremendous Santaluz community. We are Santaluz real estate specialists! For more information or to schedule a private home showing, call your San Diego real estate specialists - Beer Home Team - Keller Williams Realty at (858) 465-7899. More about Santaluz real estate. Selling or buying a home in Santaluz soon? Call Beer Home Team - Keller Williams at 858-465-7899. Our community of Santaluz real estate agents will help you navigate the Santaluz housing market in California. Set on roughly 1,000 acres of open space and protected nature preserves, views from most Santaluz homes fully capture the pure beauty on display that defines much of the southern California landscape. 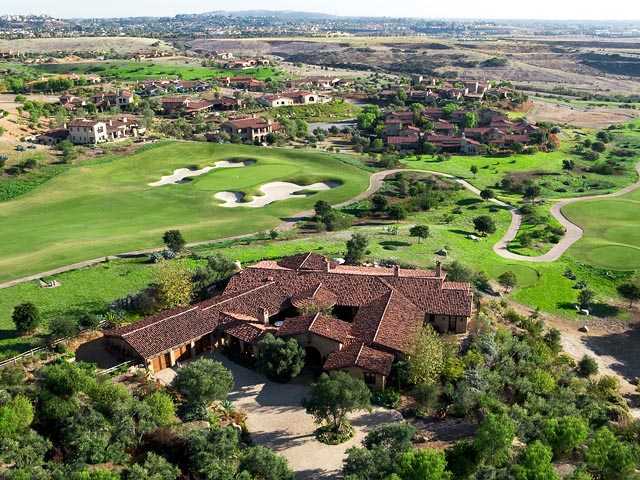 Rolling hills and majestic canyons offer a breathtaking backdrop, while the pristine landscaping of The Santaluz Golf Club compliment these outlooks by providing lush greenery one can only get from living on a championship golf course. Once entering the gated entrance which provides residents with round the clock security, potential Santaluz home buyers will be in awe of the calmness and tranquility that surrounds the neighborhood as a whole. Over 25 miles of walking, biking, and jogging trails run throughout the Santaluz development, which fully allow residents to enjoy the grand outdoor space that’s made this gated community so popular among today’s luxury home buyers. The Santaluz Club is comprised of two different areas. One is The Hacienda, which sits on the Village Green. Of course the primary amenity at Santaluz is the world-class, 250 acre golf course that features incredible views that reach all the way to the Pacific Ocean. But along with this renowned golfing facility, home owners at Santaluz also have direct access to the 11 acre portion of the neighborhood known as Village Green, which is home to the 15,000 square foot Hacienda community and fitness center, as well as the Santaluz Clubhouse and Spa—a place where members can indulge in a number of luxurious features that include a golf pro shop, steam and sauna rooms, and a soothing Whirlpool. Buying or selling a home in Santaluz CA? Let our team of Santaluz real estate agents help you through the purchase of your new Santaluz property or the sale of your current home in California. As local Santaluz real estate agents, we have expert insider knowledge of the market dynamics unique to the Santaluz real estate market. We're here to work with you today! Contact Beer Home Team - Keller Williams to get more information about buyer or seller representation in Santaluz. Planning to get involved in the Santaluz real estate market? Review our comparative market analysis form to quickly see your Santaluz property value estimate within minutes.